To gain a greater understanding of the water supplies and demands in the ULNRD a water-budget analysis will be conducted. Water budgets are a useful and proven tool for the development and management of water-resources. The water-budget analysis will exam water supply, demand and use. The project will use relevant an available hydrologic, climatic, and physical data as identified in the water inventory. 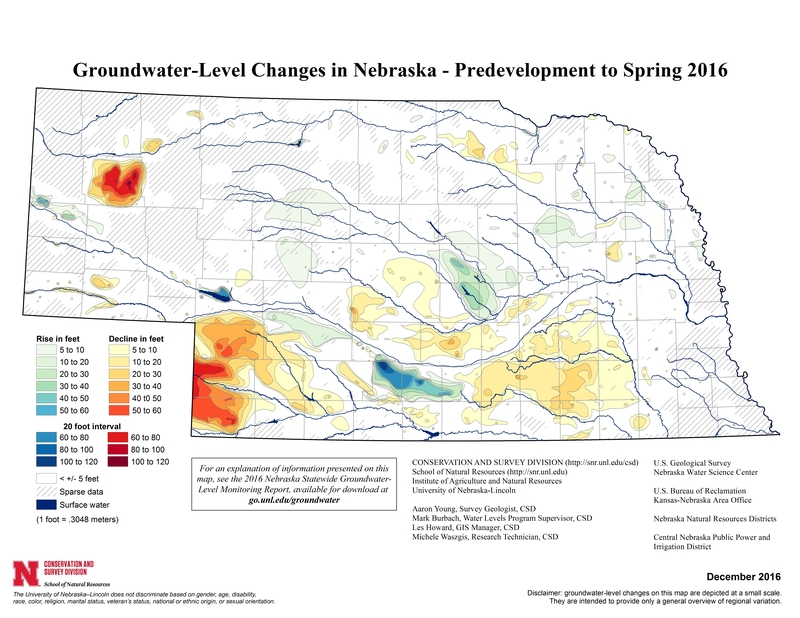 The result of this complicated analysis will provide decision makers that currently manage water supplies and land use, and provide the ability to forecast and address long-term demands. This study will be a comprehensive assessment and inventory of available hydrologic, geologic, and physical data in the ULNRD. Both water use and supplies in the district boundaries will be investigated. The inventory will assemble data spatially and temporally. The study will examine hydrologic, climatic, and physical records for at least the past 25 years to gain a greater understanding of the water supplies and demands in and around the ULNRD. The water budget analysis will consider the timescales on an annual, seasonal, and possibly monthly basis. The temporal component of the water budget analysis will be based on needs of decision makers and the availability of data. The data will be analyzed to ensure comparability. Shorter time steps such as monthly could be examined if there is a need to understand trends, seasonal declines or increases, water storage, regulatory or demands by other users. Additionally, when determining timescales, the spatially large geographic area of ULNRD needs to be taken into account as travel/lags times will vary. For purposes of this study surface appropriations or excess flow analysis will not be taken into account, that would need to be done in a later study. The water inventory and other data sets generated for this project will provide input for the water-budget equation. The water-budget equation essentially takes into account water coming into, leaving, and stored in the Upper Loup basin, thereby determining the change in water storage in the watershed. It will determine the change of: the volume of water over time, covering the area of the Upper Loup basin. During the study the water-budget equation will be reviewed, expanded, and if needed modified to take into account various datasets and system functions. 1. Elsmere station, record from 1980 to 2016. During this period Elsmere is trending down. 2. Mullen station, record from 1893 to 2016. During this period Mullen is trending up, sharply. However, I am suspect of the data prior to 1937 that is quite low, might be a result of a change in measurement technique. However, even if you remove the early data, Mullin is still trending up. 3. Stapleton station, record from 1990 to 2016. During this period Stapleton has remained fairly constant. 4. Whitman station. Record from 2005 to 2016. During this period Whitman is trending up.